In celebration of International Day of the Girl, STS is pleased to highlight our research supporting girls’ education in Ethiopia. Despite considerable progress in increasing girls’ access to education in Ethiopia, important barriers persist. One of the key challenges facing girls in the country is successful transition from primary to secondary school. In recognition of this challenge, the Supporting Transition of Adolescent Girls through Enhancing Systems (STAGES) project, implemented by Link Community Development (LCD), aims to transform access to secondary education for girls – and boys – in the Wolaita zone of Ethiopia as part of the DFID-funded Girls’ Education Challenge-Transition (GEC-T). STS is conducting mixed‐method, gender‐sensitive, monitoring and evaluation for STAGES over the course of the project from baseline to endline. 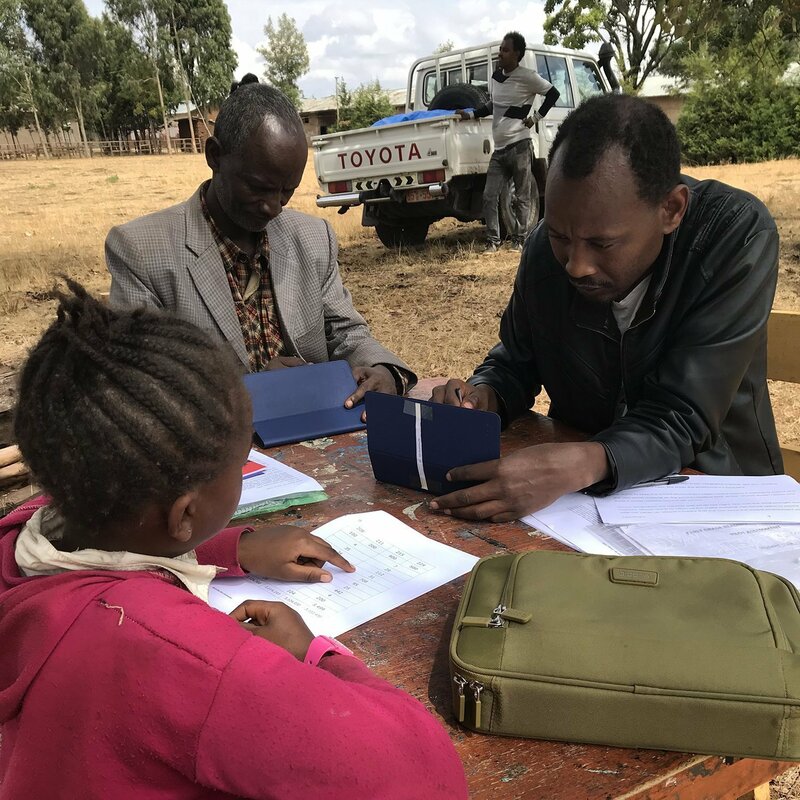 Girls in the Wolaita zone who are married, have children, are orphans, or have a disability face additional barriers to accessing and thriving in their education at both primary and secondary levels. As girls age and move through upper-primary and into secondary school, the pressure to marry and begin childbearing increases—and may be prioritized over a girl’s education. 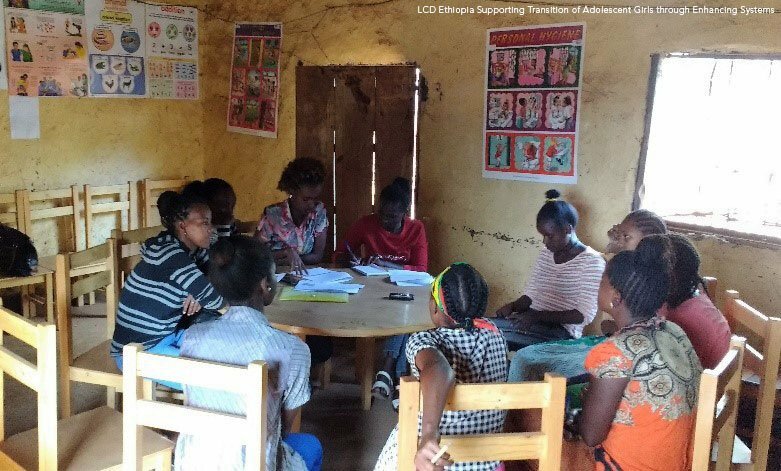 While strong progress has been made through LCD’s previous work in the Wolaita zone on reducing stigmatization and other challenges associated with menstruation, absenteeism related to menstruation remains a challenge for some girls. While there has been increased awareness of the negative impact of the high level of household chores on girls’ success in school, as well as some reduction in the level of chores noted in response to LCD awareness-raising, high burdens of household chores continue to be an impediment to for many girls. Migration, rural to urban migration, as well as international migration, was identified as disruptive to many girls’ education, especially during the transition to secondary school. Embedded social and cultural norms around gender, such as preference given to male children to attend school persists, as girls may be perceived as having the option to better themselves through other pathways such as marriage. 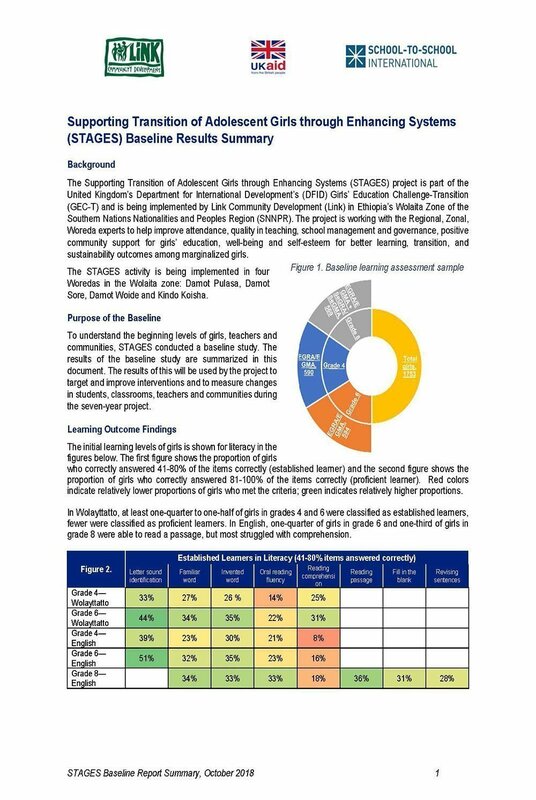 Based on these and other findings from the baseline study, STS will continue to work with LCD in providing recommendations on how best to address and mitigate barriers that girls in the Wolaita zone face at the primary and secondary school levels, especially for the most marginalized girls. 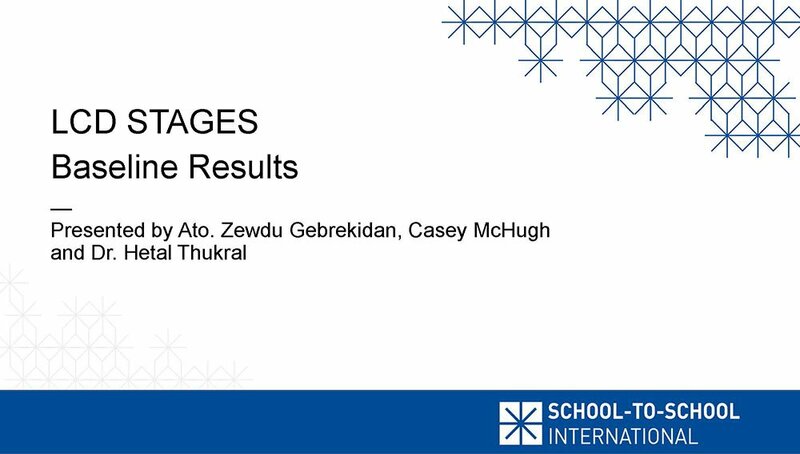 The baseline study and external evaluation of the STAGES project is managed by STS Technical Manager, Casey McHugh, with technical leadership from Hetal Thukral, Ph.D., STS Director of Evaluation and Research. In addition to her role as the Evaluation Manager, Ms. McHugh brings expertise in qualitative research, mixed-methods evaluation, and gender and education in sub-Saharan Africa. 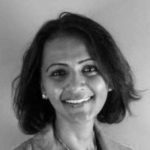 Dr. Thukral is a leading education researcher with over a decade of experience designing and implementing high quality studies in the US and abroad. She has deep experience in designing and conducting rigorous mixed-method evaluations of education projects throughout sub-Saharan Africa and Asia.